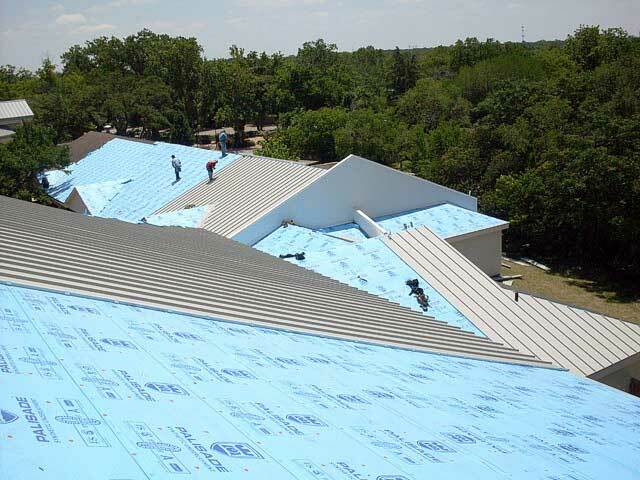 We know that a new roof for your Austin area business is a significant investment. And we know you have different priorities than a homeowner replacing a single roof. Of course it has to look good. But it also must protect your commercial or industrial building for many years. You’re looking at a balance sheet, not just at appearance. We understand all of that at RoofCrafters. And we’ve been providing that kind of quality business and commercial roofing in Austin and Central Texas for over 30 years. If you’re trying to find the right business or commercial roofing contractor for your restaurant, manufacturing plant or multi-family structure roof replacement, you owe it to yourself to see what we can do for you. We only use the best roofing materials for every job. And we warranty the products we use. That really matters when you need to watch the bottom line year after year. We can match your building’s style and design with a new roof that will enhance its appearance. There’s no need to compromise on your Austin roofing project. We provide certified roofing installation by trained professionals. Not every roofing company can say that. In fact, only 3% of U.S. roofers have earned the GAF Master Elite Roofer designation. Anyone can call themselves a commercial roofing contractor. But certification is limited to those few who can prove their expertise. We’re honored to be among those few. We offer a variety of roofing products, including Duro-Last prefabricated roofing systems, EcoStar roofs, GAF Shingle Roofing and IB Roof Systems. Durability is critical in Austin’s humid hot weather and damaging winds. Whenever possible, our craftsmen will build your flashing on the job site so that it fits just right. That means a better seal against leaks down the road. Call today, and one of our Project Planners will assist you in selecting the metal roofing, tile roofing, shingle roofing, flat roofing, or specialty roof that’s just right for you. Tell us about your industrial, multifamily or commercial roofing project, and we’ll be in touch to give you a FREE estimate.